Today we are unveiling the first of our new fleet of Biogas powered vehicles, beginning service this week, and the start of our conversion to being an even more sustainable business! 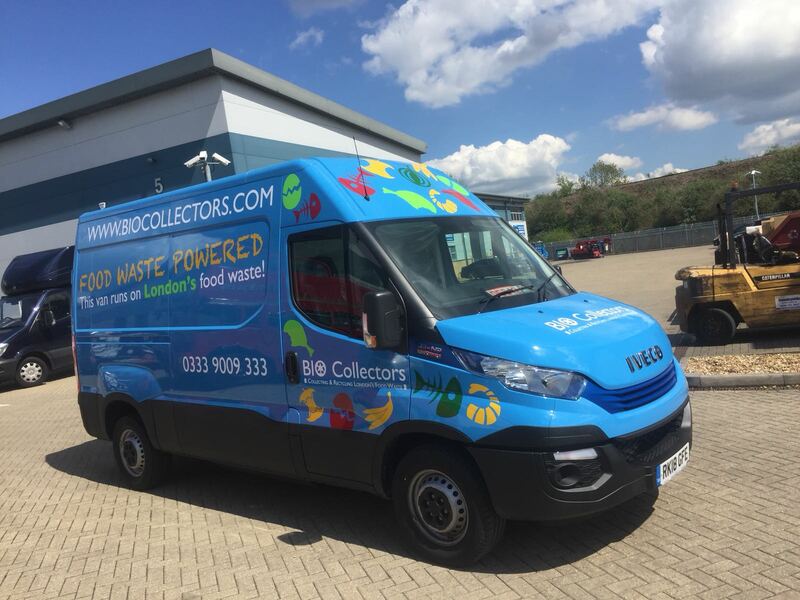 All of us at Bio Collectors are very excited to be embarking on such a huge shift away from the traditional fossil fuels and the associated environmental cost that come with using them, especially as a company operating vehicles across London. 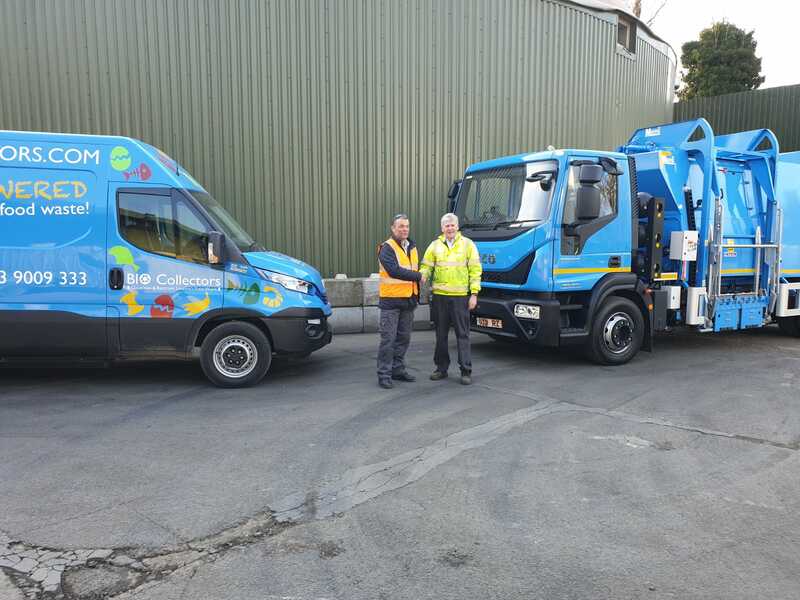 Our range of new collection vehicles will be powered using Biogas generated from the very same food waste that we collect and recycle at our AD facility in Mitcham, making our vehicles some of the most environmentally friendly on the road and more than meeting the new Ultra Low Emissions Zone (ULEZ) standard for London. London’s largest independent food waste collector has completed preparations for the capital’s Ultra Low Emissions Zone (ULEZ) by revealing plans to convert all 25 of its vehicles to run solely on compressed natural gas (CNG) produced by its anaerobic digestion (AD) plant in South London. 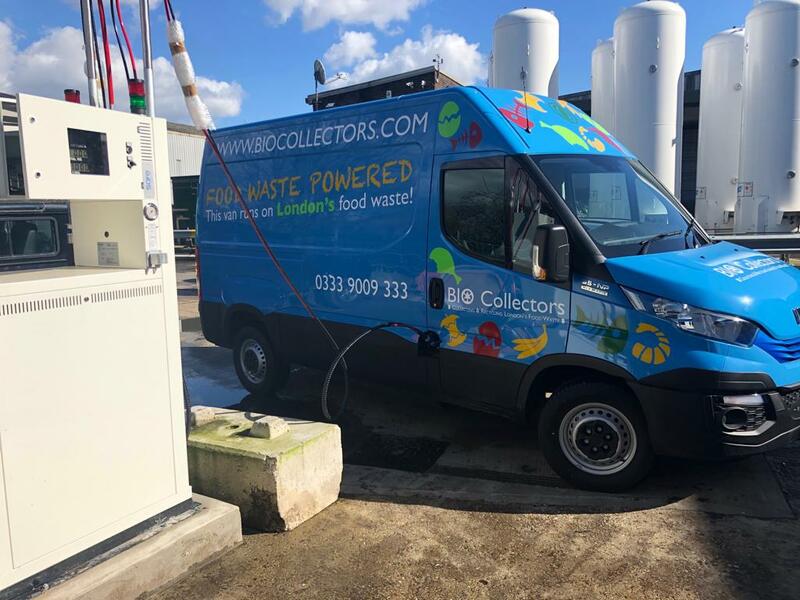 Bio Collectors, which collects food waste from within the M25, has today taken delivery of seven CNG-fueled food collection vehicles that will replace trucks in its 25-strong fleet. They will be fueled by methane gas produced by its Anaerobic Digestion (AD) plant in South London. CNG is a more environmentally-friendly method of powering Heavy Goods Vehicles than diesel, but the Bio Collectors’ CNG station goes one step further, moving production of the gas away from drilling or fracking. The gas produced by the AD plant is zero fossil fuel as it is created entirely from food waste. Operating an anaerobic digestion (AD) plant that processes up to 100,000 tonnes of food waste annually, Bio Collectors site is capable of generating the equivalent of 6mW of gas and 1.7mW of electricity every hour. The by-products of the recycling of food waste already power the plant and on-site offices, as well as feeding fuel into the national grid. The move coincides with the implementation of ULEZ in the central London Congestion Zone on 8 April, designed to drive an improvement in air quality across the capital. Electric cars are the air quality solution favoured by the Mayor, but research revealed that CNG would be the most viable option for Bio Collectors. Killoughery added: “We did look at electric vehicles, as their exemption from the congestion charge and road fuel tax would make them the logical choice – CNG trucks are liable for both. But electric vehicles are not available at the payloads we require and would take all night to recharge, making them impractical and logistically impossible due to the significant space needed for separate charging stations for 25 vehicles. Alternatively, a CNG pump can refill a truck as quickly as on a traditional forecourt. “We have long championed an environmentally-friendly attitude, with that mentality forming the basis of what we do at Bio Collectors – AD is the most effective way of processing and recycling food waste with the least harmful impacts. Our decision to convert our fleet to CNG fuel further consolidates our stance and we are proud to lead the charge ahead of ULEZ.